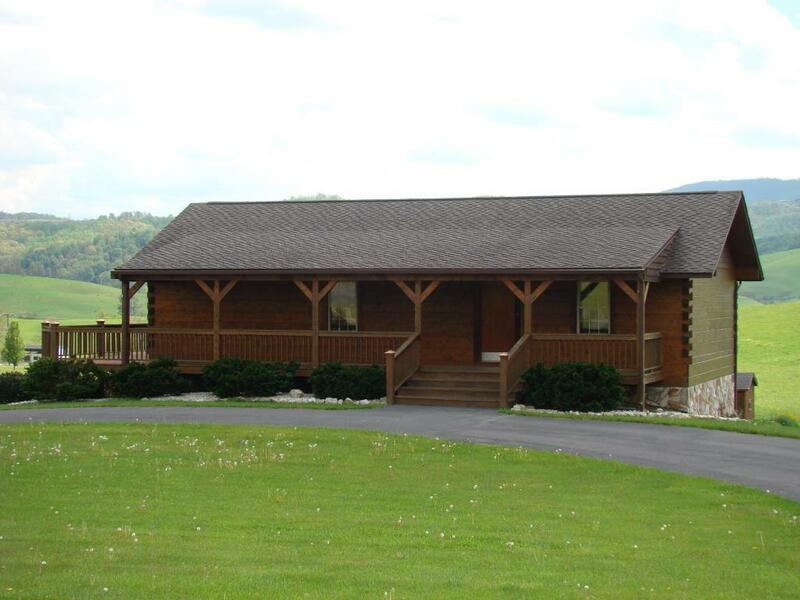 925 Comers Rock Road, Elk Creek, VA 24326 (MLS #64628) :: Highlands Realty, Inc.
Log home on large lot in Elk Creek Valley. This well kept property once served as a lodge for entertainment and group gatherings so the floor plan is wide open. With over 1,100 square feet on the first floor, full kitchen and bathroom, this beautiful building has so much potential to be a sizable home with mountain views. The basement is also open space which could remain open or divided into bedroom spaces with plumbing for another bathroom and laundry. Create your own home design within the existing footprint or add on with plenty of lot space for additions. Enjoy the covered front porch and open deck to soak in the beautiful farm and mountain scenery that this property offers. Independence, Galax and Wytheville for added medical, shopping and entertainment options are within a short drive as well as natural resources of Mount Rogers, New River and National Forest lands. Listing provided courtesy of Mitch Anders of United Country Anders Realty & Auction. © 2019 Southwest Virginia Association of REALTORS®. All rights reserved. IDX information is provided exclusively for consumers' personal, non-commercial use and may not be used for any purpose other than to identify prospective properties consumers may be interested in purchasing. Information is deemed reliable but is not guaranteed accurate by the MLS or Highlands Realty, Inc.. Data last updated: 2019-04-25T17:10:53.467. © 2019 Tennessee/Virginia Regional Multiple Listing Service. All rights reserved. IDX information is provided exclusively for consumers' personal, non-commercial use, and may not be used for any purpose other than to identify prospective properties consumers may be interested in purchasing. Data is deemed reliable but is not guaranteed accurate by the MLS. Data last updated: 2019-04-25T16:59:58.187.